Looking for that special health products store with very knowledgeable and well trained associates who can answer your questions on the newest products? 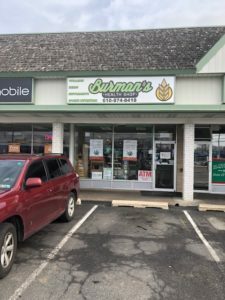 Burman’s is the place. Located conveniently at 3049 Edgmont Ave., Brookhaven, PA, they are accessible to PA, DE and NJ customers! With a wide selection of vitamin and CBD products you will find what you are looking for and if not, they can get it for you! ATM service is available for your convenience! Vince & Tony’s Restaurant in Limerick, PA is the best!